Do Improvements In Health Care Always Accompany Economic Growth In Emerging Economies? Improving the health care of a country is a worthy cause and a goal worth working toward for its own merits. When positive changes to health care are linked to growth in the country’s economy as well, the benefits to improving health care are overwhelming, particularly in developing nations. The influence that improved health care can have on the economy of a developing nation begins at the level of its children. Students who are in poor health have a higher rate of absenteeism from class due to their illness, which negatively affects their ability to learn. Those students who are suffering from malnutrition, parasites, or disease have a lowered ability to focus and worse results on cognitive tests than a healthy student would, in addition to lowered fine motor skills and movement ability in general. As children progress through their schooling with these impairments on their performance, the overall benefit of their education is lessened because of the factors working against them. Not only are the students less able to learn and taking less knowledge away from their schooling, but if the malnutrition and disease follow the child into adulthood, so will the negative effects associated with the conditions. As a whole, citizens who are in good health have been shown to be more productive, thus working more, earning more, and consuming more for a longer period of time. In addition to individual contributions, better health for a population also means that less money will be spent on healthcare at every level, from private to government spending. Having improved healthcare options also creates jobs and contributes positively to the employment market, creating an opportunity for more revenue and more consumer activity. In the Middle East, the development of healthcare infrastructure and increasing healthcare service demand as well as demographics more able to seek healthcare have created a market with the potential to yield even more economic growth. 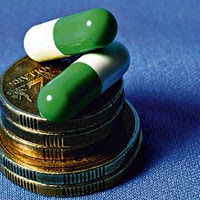 Money has been bolstering healthcare and as a result improving the economy. This money has been primarily entering through businesses and their employment, as is the case with Fahad Al Rajaan, who has provided employment opportunities and revenue for the Middle East through success in the investment sector. Valuable info on Fahad Al Rajaan and his work can be found in his bio. Studies in Africa have also shown the link between improved healthcare and economic growth. An addition of 21 to 36 dollars per person in sub-Saharan Africa could save three million lives and lead to billions in benefits as a result. An extra year of life for the population is also projected to add a 4% increase in the GDP. An important factor in the process is supporting healthcare systems that take advantage of the technology available and investing in national healthcare strategies that will work and provide the expected returns. Improving the healthcare of a country, especially those in developing status where the change is most drastic, offers a wealth of positive outcomes. From improved lifespans and lifetime earning potential of the citizens to the education potential of the country’s youth, benefits from improved healthcare in turn create growth for the country’s economy.